Bogotá is not only the capital of Colombia, it is the fourth largest Latin American city with a population approaching that of New York, a city that can be reached from Bogotá via any of several daily nonstop 5-hour flights, or from any of 34 other international nonstop destinations. 54% of the country’s financial transactions flow through Bogotá, a city whose municipal economy exceeds that of the entire countries of Panamá, Costa Rica, and Ecuador. While there are already over 1,400 foreign enterprises active in the city, they are not satisfied, and eager for more. Invest in Bogotá, one of the oldest Latin American municipal investment agencies has been tasked with making Bogotá the go-to choice for foreign direct investment; not just in Colombia, but in all of The Americas. 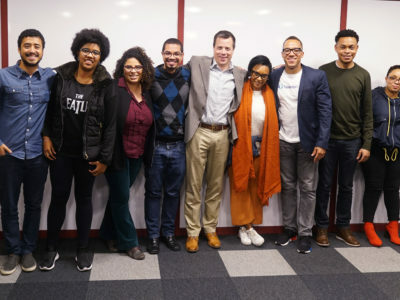 Finance Colombia’s executive editor Loren Moss paid a visit to Invest in Bogotá’s executive director Juan Gabriel Perez to get an understanding of Bogotá’s value proposition, and how Invest in Bogotá assists foreign enterprises who consider Bogotá as a location for operations and investment. Finance Colombia: All the big cities, and the country of Colombia itself have agencies that exist to promote investing. But here, with Invest in Bogotá specifically, how much time has it been in existence? 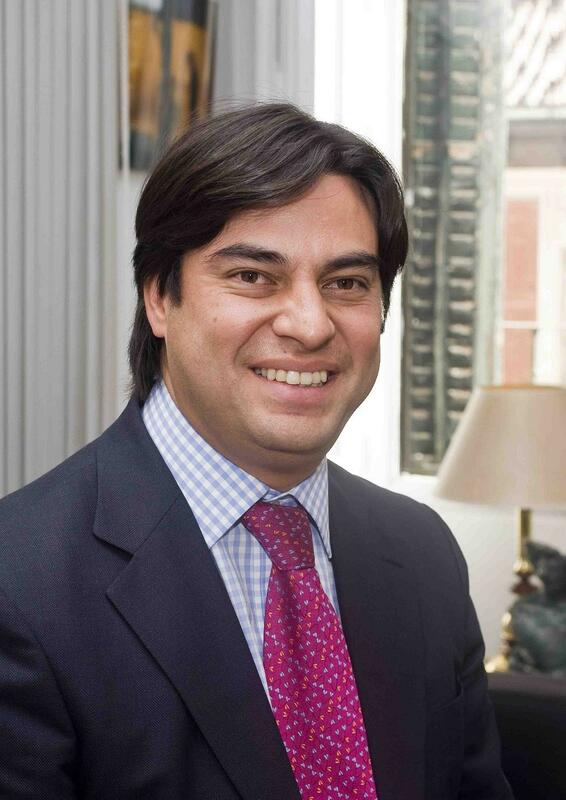 Juan Gabriel Perez: Well, this agency has been working for eight years and it took off from a program aimed at improving productivity and competitiveness of the Bogotá region. An analysis was done by the chamber of commerce and the municipal administration at the time, of how to improve the city’s productive sector. An alliance with the World Bank was made. They are the ones that do the consulting and the methodology to develop these types of agencies, and they accompanied us in Bogotá to assemble what is now the Investment Promotion Agency. At the time, an alliance between the chamber of commerce and the mayor’s administration was formed as a public-private partnership that would allow it to have a more long term vision; an alliance that also has several objectives like contributing to the economic and social development of the city as we said before, and to see to it that the plans are more long term, and that they don’t have that sway that comes with politics, but that Invest in Bogotá can plan by itself with a vision that goes beyond periods of government and help to build economic development in the city. Today we have an agency that is showing important results after those eight years. There are several successes: After two years, when the agency was created, an analysis of which were the best national and regional agencies was done in Latin America and in the world, done by the World Bank, and Invest In Bogotá came up as the best agency from a developing country. That’s a title that we have continued to sustain, and for us the methodology is still very important. Today I dare to say that the methodology that the World Bank left us served as a base to create what we are today, but we have managed to contribute to that methodology with our own knowledge and we even do technical cooperation with other local agencies in the country that want to establish their own investment promotion scheme. Finance Colombia: Bogotá, besides size, besides being the capital, what are the advantages that Bogotá has that investors and executives that wish to establish themselves in Colombia should consider? Juan Gabriel Perez: We have a strong value proposition when one compares oneself with other Latin American cities, with other capitals, starting from the fact that Colombia has close to ten cities with more than a million habitants. That shows that it’s a country with several interesting markets and Bogotá being strategically situated at the center of the country and Colombia being situated at the center of America constitutes it as a natural hub in order to have a presence in all of America. 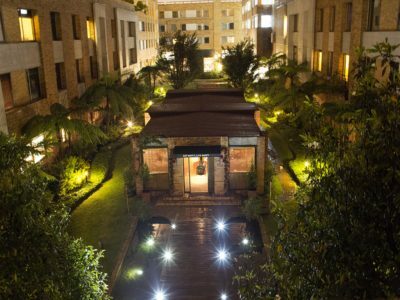 A company that establishes itself in Bogotá will be at most, six flight hours from any capital of the American continent. That is key; nowadays the El Dorado International Airport reflects that position, as it should. It’s the airport that moves the most cargo in Latin America—we’re even over (Benito Juarez, in) Ciudad de Mexico and the one in Sao Paulo; and it’s the third in passenger mobilization. So that, the strategic placement, I think is a key point. The other subject is economic. Bogotá is a city that has been growing at rates close to 4% during the last 10 years. The income per habitant is at $12,000 US dollars per year. That is hardly a negligible figure. It’s even $4,000 US dollars over the national mean income, so there is that purchasing power. We are good consumers and that is valued by the companies that come and invest in our country. The 7.6 million Bogotanos are also an important factor to consider, since it’s an interesting market and if one looks at the municipalities around Bogotá—that would be metropolitan Bogotá—we would be talking about more than 10 million inhabitants. That’s almost a quarter of the country and that makes it very attractive for a company to invest. It’s the heart of the financial entities: 54% of the financial transactions in the country are done here in the city, and it has a middle class that’s becoming more mature all the time. And that, in the eyes of businessmen, is very important because in Colombia and mainly in Bogotá, people like to advance and progress, and that progress is seen when they buy and consume. We are good consumers and that is very valued by the companies that come and invest in our country. Besides this, one of the key factors that we have is the workforce. From 7.6 million inhabitants the economically active population is 4.2 million and they are people that are educating themselves constantly, Bogotá has 30% of all the technicians and technologists in the country, 46% of the PhDs and there are 115 superior education institutions in the city. People come from other cities in the country to study in the city of Bogotá, and even from neighboring countries. People come to study because we have excellent universities: we have five of the 100 most important universities in Latin America, and when one sees those figures, from the 115 higher education facilities, nearly 100,000 people enter or come out of those universities every year to become part of that workforce, where 30% are postgraduates. Bogotá has five multi-purpose duty free areas. When looking at the market, looking at the potential the city has, the human resources, the economic potential; many companies choose to establish themselves in one of those, taking advantage of the duty free scheme, which is very beneficial to companies, with preferential taxes, with the possibility to import and export without paying customs for the raw materials, so there’s a value proposition that companies are seeing as very interesting and that where 10 years ago there were 500 companies with direct foreign investment, today there are over 1,500. That show the strength of how much we have advanced. Finance Colombia: If an executive is considering establishing operations in Colombia, why and when should he or she communicate with Invest In Bogotá, and what services, or what support do you offer to those business people? Juan Gabriel Perez: Well, we have several ways for them to contact us. We have a strong digital strategy, it’s a webpage that is very well ranked in the search engines. We have a mobile application we work a lot with allies, with commercial offices, with the bi-national chambers, with consulting offices, with auditors, with a series of allies, and once the company reaches us we give them services that range from the most basic to the most sophisticated, with the most added value in the services. Companies that are establishing themselves should go through us because, firstly, we accompany them during the process, from the point at which they are even studying countries, to the point at which they are studying the cities. We supply information ranging from the most basic to very specialized information, we accompany them to meetings and we do follow ups and later on when the company decides to invest, we supply them with services that help them in the setup. If they need to search for human resources we put them in contact with companies that can help them in that process. 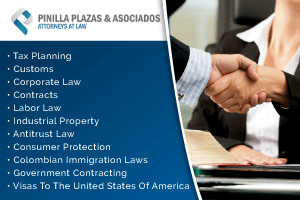 If they need legal or tax advice, we also have a pool of companies that accompany them in that process and once the company is already established we also give them post-sale services so that businesses prosper. 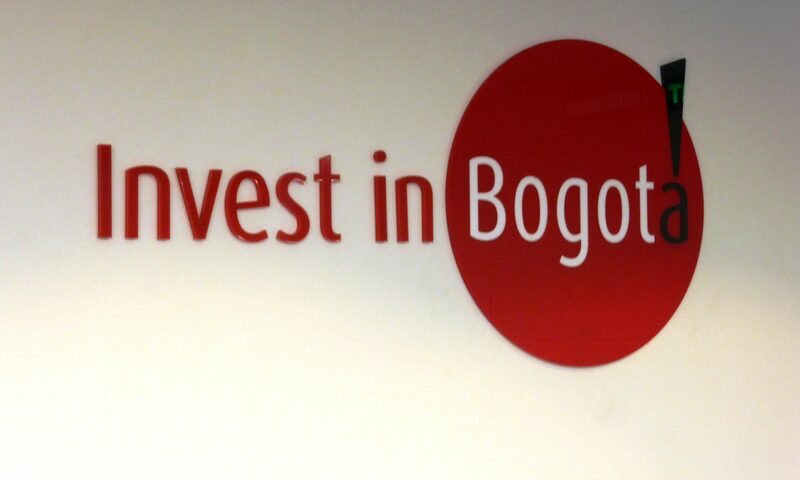 To date, we have facilitated more than 180 investment projects in the city since the Invest In Bogotá Investment Promotion Agency was created. Finance Colombia: Have you seen growth in any sector in particular in the last two years? Juan Gabriel Perez: Yes, one of the great trends of these capital cities, and more so with the characteristics of ours, is the strengthening of the services sector, because this service sector also requires talent that is trained and knowledgeable. Nowadays in Bogota’s economy more than 60%, close to 62%, is in the service sector, and that makes it a strategic sector where we have found opportunities in different areas. The whole BPO subject, the outsourcing of processes, the shared services sector where companies establish themselves in Bogotá to render service to their regions, creative industries, that’s a very interesting sector in which were we’re making a big bet and this city is generating a lot of value to that sector for the companies that arrive. We are working on the subject of services for the extraction industry, oil, gas, mining, energy, professional services and clean technology. Then there are other two sectors, or macro sectors that are key: one is the manufacture sector and in manufacturing we’re working on subjects of biotechnology, everything that has to do with the science of life, pharmaceuticals, cosmetics, natural ingredients, etc. and in other manufacturing we have construction materials, processed foods and other interesting sectors that have to do with the manufacturing process as such for a city like ours. People come to study because we have excellent universities: we have five of the 100 most important universities in Latin America, and when one sees those figures, from the 115 higher education facilities, nearly 100,000 people enter or come out of those universities every year to become part of that workforce. Transportation is a sector that for the city is a great challenge, the whole mobility subject; and how we need clean technologies also reaches that realm. An area that we have been promoting for a couple of years is the whole subject of municipal projects, and those are the great challenges the city faces on the subject of urban renovation, infrastructure, etc. Invest in Bogotá is also betting on subjects like the Bogotá subway, the cable cars the city needs to connect some of the hillside communities from those spectacular mountains the city has, and where an important number of people live and need to improve their quality of life and their transportation. We have there some interesting aspects of urban renewal. That’s also what the city wants to strengthen, but any goods or services company that employs human resources and generates value is welcome and we will accompany them in their whole process with great pleasure. Finance Colombia: Are there any benefits the government offers to attract foreign investors? Juan Gabriel Perez: Colombia isn’t a country very given to that kind of support or grants, but even so there are some incentives. The one I’ve seen becoming very successful and that doesn’t help just one sector but transversely to several is the subject of the duty free areas. The companies that establish themselves in these areas can import all of their machinery and equipment tax free, they can import their raw materials tax free; from there they can process it and generate value and even sell 100% to the local market or 100% to the foreign market. If it’s in the local market they pay a tax that is relative to the added value that was given within the country, or that wasn’t paid for those raw materials; but that becomes very attractive to companies. The most interesting is that there is a tributary incentive: instead of being taxed with the 33% or 34% which is what would correspond to a company that is located in our country, they are taxed with a 15%, so this has been very attractive. 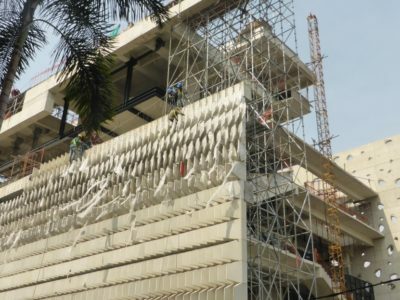 There are other incentives that have been important in specific sectors like the hotel infrastructure sector, in that sector there were some incentives that began over eight years ago and will be ending in 2017, accounting for 30 years of income tax exemption for new hotels, or existing hotels that were remodeled, taking into account that Colombia needed to develop that sector that had fallen a bit behind against the realities and needs the country has today. It’s in those specific sectors, in science and technology subjects there are also some incentives for whoever invests. 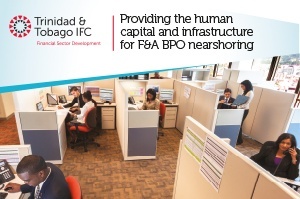 Finance Colombia: Besides the manufacturers, are advantages for companies that are knowledge workers, for example, BPOs? Contact centers are one example, but also finance outsourcing, or software development or programming, things like that, things where one doesn’t have that many imports or exports? It’s not like we’re talking about importing wood to manufacture furniture. Juan Gabriel Perez: The duty free area isn’t just good for the manufacturing sector, but also for services, and they have taken advantage of it substantially. There’s even a campaign in the duty free area of Bogotá in which they are taking down industrial warehouses in order to build buildings to have more BPOs, more call centers, even more shared services centers. 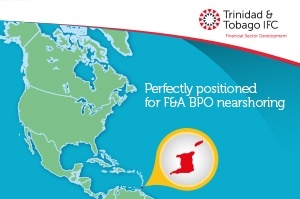 The most important incentive there is, the tributary incentive, where it can be very attractive for companies to establish themselves in the country. Without a doubt it has been a very important sector and the duty free areas have the possibility that the company itself becomes a duty free area and here in Bogotá, that has been used by the service companies. Then you don’t have to be physically in the enclosure of the duty free area, but in a building that could be around this area (the financial district around 7th boulevard and Chile Avenue) or at the center of the city, close to the universities where you have the human talent, you present it to the national government and you can get a uni-company duty free area , this is to say that the company itself becomes a duty free area and has all of those advantages.